DAVID LE/Staff photo. 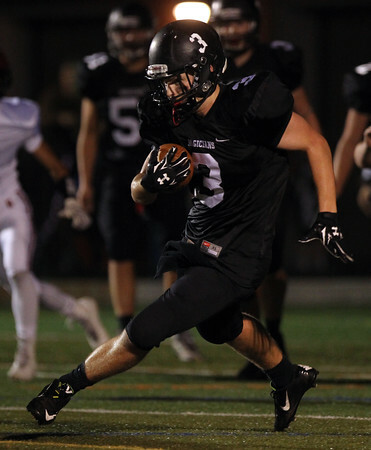 Marblehead junior wide receiver Harry Craig cuts upfield after catching a screen pass from quarterback Garret Keough. 11/6/15.